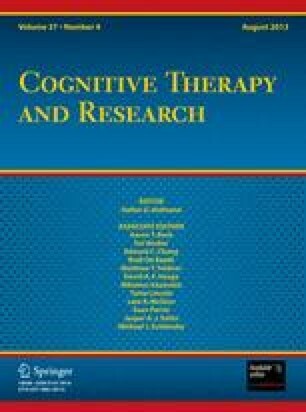 The study examined the relations between subjects' general repertoire of self-control behaviors and their ability to cope with seasickness. Based on peer evaluations, sailors of the Israeli Navy were divided into “seasick” and “not seasick” groups. Each of these groups was further divided into high self-controllers (HSC) and low self-controllers (LSC) on the basis of their scores on Rosenbaum's Self-Control Schedule. Performance deficits as a consequence of a stormy sea were assessed by a peer evaluation technique. As expected, (a) HSC seasick subjects had fewer performance deficits than LSC seasick subjects, and (b) HSC seasick subjects reported using more extensively self-control methods to cope with seasickness than did LSC seasick subjects. These differences were not observed between HSC subjects and LSC subjects in the not-seasick group. HSC subjects did not differ from LSC subjects in their susceptibility to seasickness. These findings highlight the importance of cognitive skills in the process of coping with physically stressful situations.